The information in this section shares the story of PIE. It discusses what adolescents need to come of age within their family and community and how they were designed to help their community survive. It also provides more tools for “Partners in PIE,” people already serving PIE to nourish life in their community. This PDF provides a brief overview of PIE. 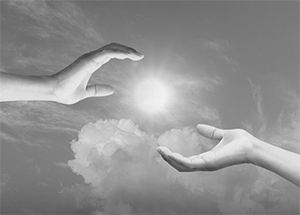 It offers the rational, underlying theories and goals. Here is an old story that is central to the overarching theme of PIE. 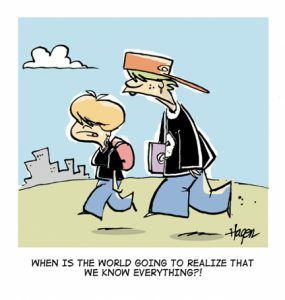 It reveals ancient wisdom that inspires teenagers to wonder about the Universe and their place in it and the consequences of not helping them reconnect with this ancient wisdom. Puberty is our species’ way of letting individuals and the world know that the journey toward maturity and adulthood has begun. On pages 16 & 17 in the PIE Guide we discuss how each child develops within a unique set of circumstances and at a their own rate controlled by complex forces that we “sort of” know and others that are still a mystery. 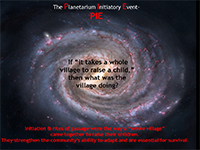 PIE™ is designed as a “community intervention” and features an interactive multi-media Planetarium Initiatory Event (PIE) for parents/guardians and children entering puberty and transitioning from primary into secondary school.